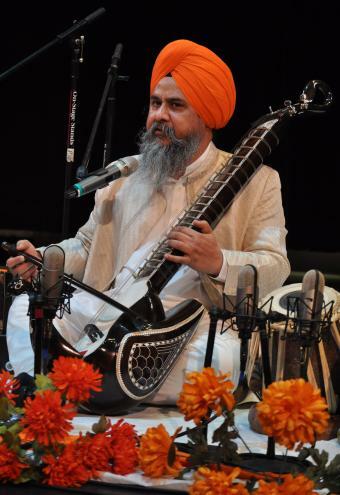 Among the ragas, Siree Raag is the best, if it inspires you to enshrine love for the True Waheguru Ji. The True Waheguru Ji comes to abide forever in the mind, and your understanding becomes steady and unequalled. Siree Raag Occupies a prime place in the musicological system of Sri Guru GRanth Sahib Ji. The Gurbani that is in musicals Raags in the Sri Guru Granth Sahib ji starts with Siree Raag. Gurbani compositions in this raag have been recited by Sri Guru Nanak Dev Ji, Sri Guru Angad Dev Ji, Sri Guru Amardas Ji, Sri Guru Ramdas Ji, Sri Guru Arjan Dev Ji, Bhagat Kaabir Ji, Bhat Trilochan Ji, Bhagat Benni Ji and Bhagat Ravidas Ji. The Principal Note (Vadi) is Re and the Second main note is Pa.